I bet 49ers fans are ready to set up a monument to new coach Jim Harbaugh outside of Candlestick Park. San Fransisco has started the season 5-1, and I am pretty sure no one outside of that organization saw that coming. This is a franchise that really didn’t make any huge offseason moves. There roster is extremely similar to the one put on the field a season ago. Frank Gore is still the lead runner, their receiving core is still questionable with Vernon Davis as there lone big threat, and Alex Smith is still running the offense as QB. But somehow, someway, this team is finding ways to win football games, and most of the credit should go to Coach Harbaugh. Coming from a winning program at Stanford to a franchise like the 49ers would be a hard transition for some coaches, but Harbaugh has made it work. Few coaches can make the switch from the College ranks to the NFL so smoothly. Just ask Seahawks coach Pete Carroll. But the players have really taken a liking to Harbaugh. He isn’t the in your face personality like Mike Singeltary used to be for the team. Jim is a leader, and he has this team on the right track. Not all the credit can be given to the coach though. Alex Smith is playing efficient football. His numbers will not blow you out of the water, but he is playing mistake-free and doing the right things at the right times, which is something that you couldn’t say about the young man up until this season. The defense has emerged as one of the top squads in the NFL, being 2nd in the league against the rush and 12th overall. They even found a way yesterday to keep WR Calvin Johnson out of the end zone for the first time all year. Beating an undefeated team like the Lions is a huge morale boost for this franchise. Up until yesterday, they really hadn’t beaten a big name in this league. The Eagles were on a free fall at the time and the Bucs never put up an effort. But with beating the Lions, now teams are taking them seriously. This may be just a run, but what a heck of a run it is. In such a horrible division like the NFC West, expect the 49ers to run away with the division crown and see the red and gold come postseason time. I find it very refreshing to see some new faces at the top of the standings, Yes, the Patriots, Packers, Ravens and Steelers are still the elite of the NFL. But with teams like the Jets, Saints, Cowboys, Eagles and Colts faltering to start the year, it has left some room for some VERY surprising teams to emerge from the shadows of the NFL cellar. After 6 games, it really is hard to truly evaluate a team. I have seen teams get off to amazing starts, only to falter after their bye weeks. 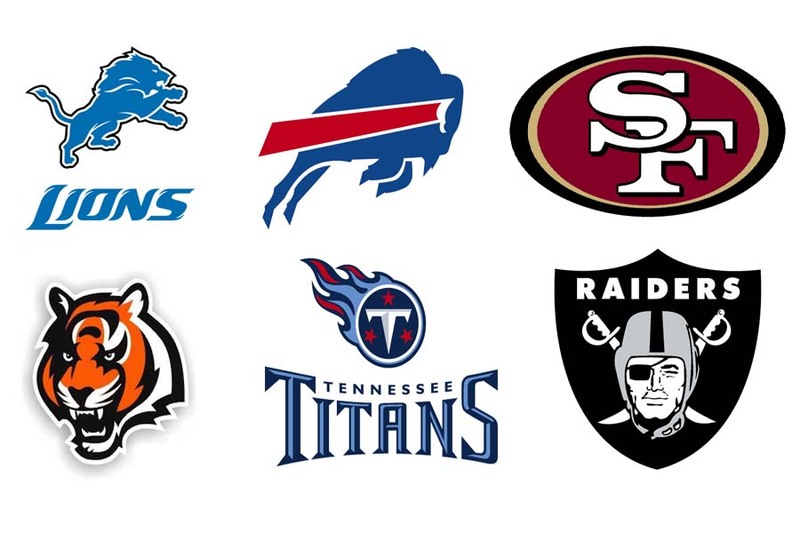 However, these are teams that had really low expectations going into this year. Outside of perhaps the Lions, there weren’t a lot of people coming out and saying any one of these teams were playoff material. It still remains to be seen whether or not these are playoff caliber teams, but each franchise has a reason to be optimistic. LIONS: A solid core of youth, with Matthew Stafford and Calvin Johnson emerging as maybe the best QB/WR duo in the NFL Their defensive line strikes fear in the hearts of opponents, with Ndamukong Suh and newly drafted Nick Fairley. BILLS: A potent offense that can go toe to toe with anyone else in the league. Ryan Fitzpatrick has found a home in Buffalo, and RB Fred Jackson is playing like he is 7 years younger. 49ERS: A young head coach in Jim Harbaugh that has given this team a winning mentality. Alex Smith is keeping his mistakes to a minimum and isn’t costing his team wins. BENGALS: Andy Dalton taking over the offense from Carson Palmer was ultimately the best decision, as he is really starting to give the Bengals a new identity. A.J Green has given the team a deep threat target to replace the once prominent Johnson/Housh duo. TITANS: Matt Hasselbeck is giving the Titans veteran leadership, consistent play at Quarterback and has rejuvenated his career at 36 years of age. The defense continues to be stellar, and RB Chris Johnson, despite his slow start, is still one of the top backs in the league. RAIDERS: Past draft picks are really starting to come around and prove their worth, such as WR Darrius Hayward-Bey. RUN DMC Darren McFadden is proving that he has the skills required to be an elite back in the NFL. 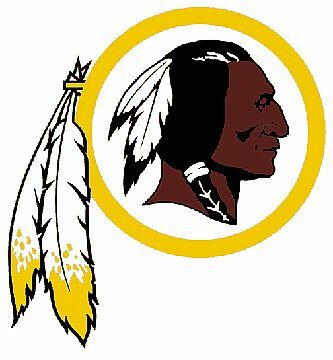 I hope no one who is a Washington Redskins fan was surprised by yesterdays performance against the Eagles. That “Grossman” like gameplay was bound to happen. He simply isn’t a good NFL Starting Quarterback. Yesterday was just a reminder of that fact. Please don’t bring up the Chicago Bears team he was a part of that made the Super Bowl. If I had that kind of defense supporting me, I could have taken them to the Super Bowl that year too. Rex Grossman went 9-22 for 143 yards with 4 interceptions yesterday against Philadelphia before being pulled out of the game in favor of backup John Beck. Going into the game, Rex had only 6 Touchdowns, along with 5 Interceptions and 2 Fumbles. Those aren’t exactly the numbers of a Quarterback that will be taking your franchise to the promise land, now is it? For the Washington Redskins to be a success this season, Rex Grossman can’t be Rex Grossman. He can’t be the QB that makes so many mistakes, that it ultimately costs the team victories. That is what he did yesterday. He resorted to the Rex of old. He was inaccurate, made bad throws and gave up the ball to the defense. That is exactly why he was pulled for John Beck. Beck should have been starting the entire season by the way. You know what you get with Rex. You don’t know with Beck because he really hasn’t had a chance to play. But let’s face it, both options are horrible. The team can find some solace in its solid defense and its merry-go-round of Running Backs, but as long as John Beck and “Flexy Rexy” are your QB’s, you’re not going places. And to think RB Tim Hightower actually predicted that this team would make the Super Bowl this year.